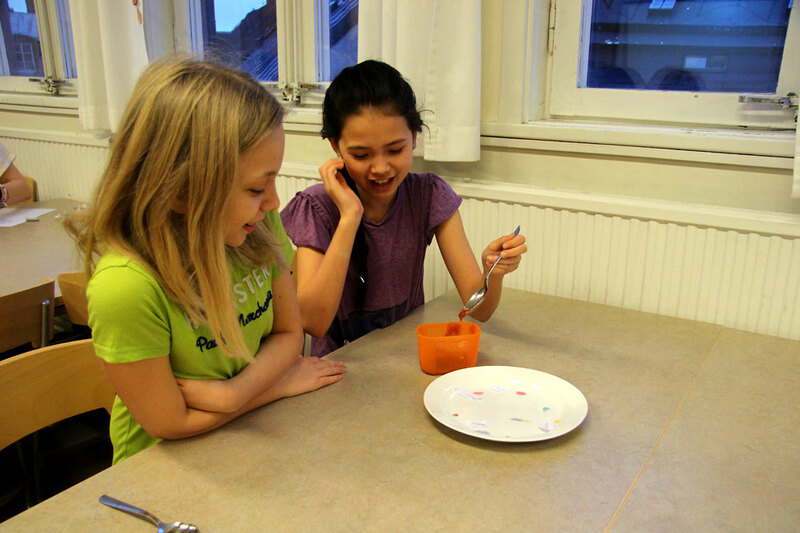 ​In Sweden we have lots of students that either come from other countries or some of their parents do. 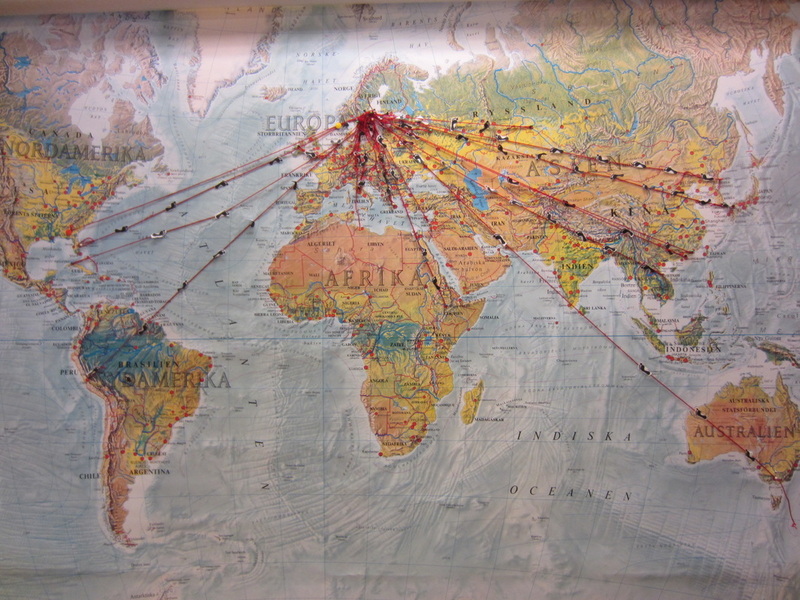 We have tied ribbons from all those places to Stockholm to show where we originally come from. This is a project that students from class 3-6 have made. ​We read a book about a girl who had to move away with her family. We discussed it in groups with students of mixed ages and painted pictures afterwards. Embroideries with inspiration from Roma people. 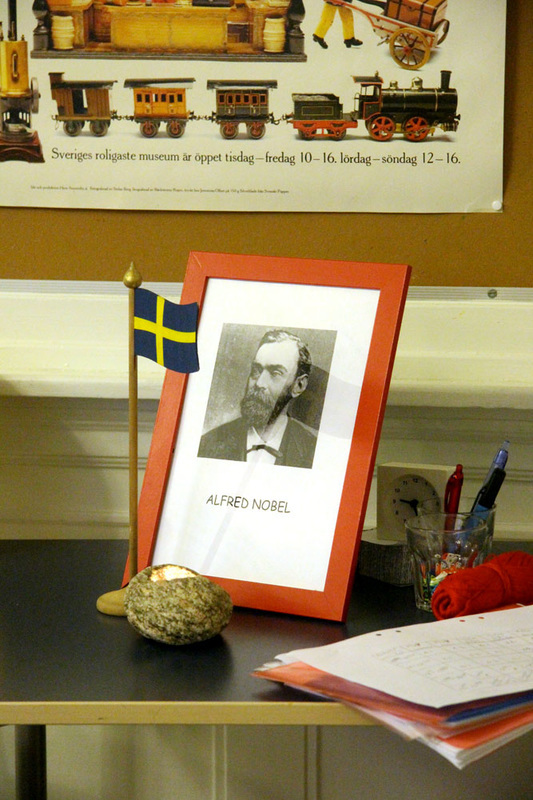 ​The 10th of December we worked in different groups and learned about this year´s Nobel laurates. We made peace doves and boxes for dynamite, discussed literature and worked with lots of chemistry experiments. Our teddybear Rasmus brought all the little teddybears on the visits and let them stay whereever they wanted in our Erasmus countries. We heard how they lived from a few in Thessaloniki. 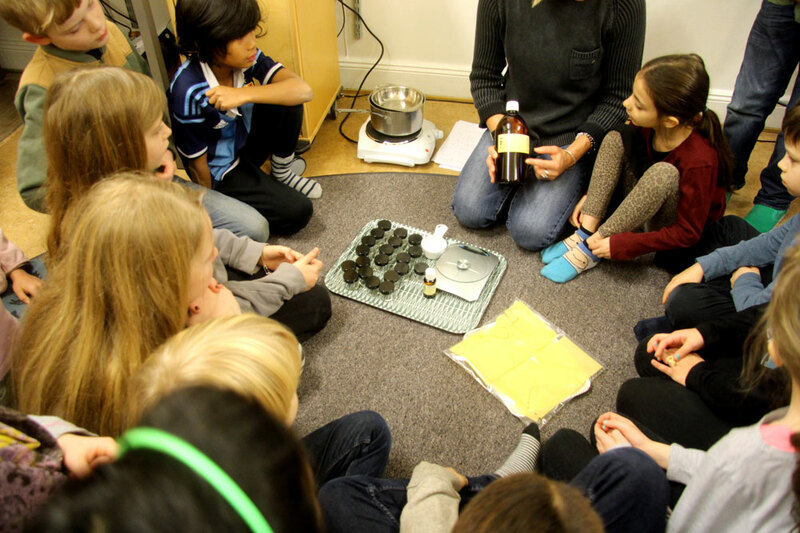 ​The Sami people make very nice handcraft and our students have studied the items they have created and tried to make their own things with inspiration from their culture. We discussed the problems that boatrefugees have, trying to leave war and poverty behind and trying to survive in small boats. After that we built a boat and made animals both from textile, clay and styrofoam. All the animals could live in the boat together!